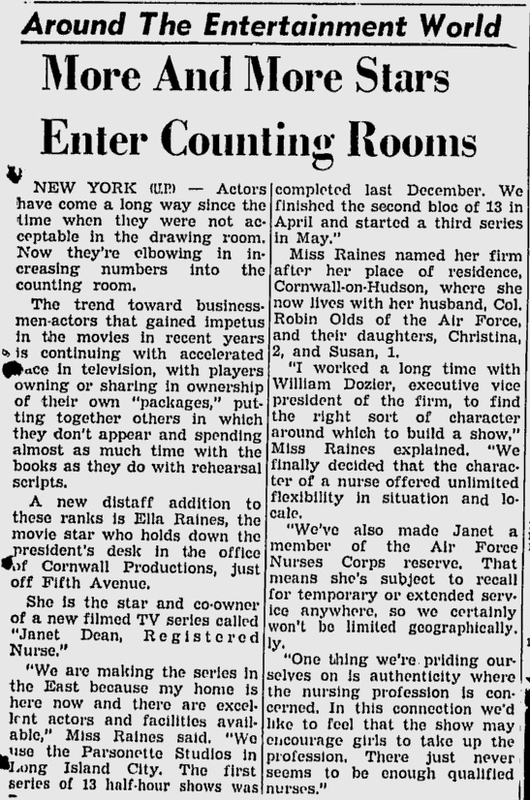 Here's a newspaper clipping from 1954 about Ella Raines and her TV show Janet Dean, Registered Nurse. The title of the article refers to the fact that around this time more entertainers were beginning to produce and/or have a financial stake in film/television projects. Indeed, Ella Raines' own company, Cornwall Productions (co-founded with producer/writer Joan Harrison), was responsible for bringing Janet Dean to the small screen.